Feeding on ground elder. 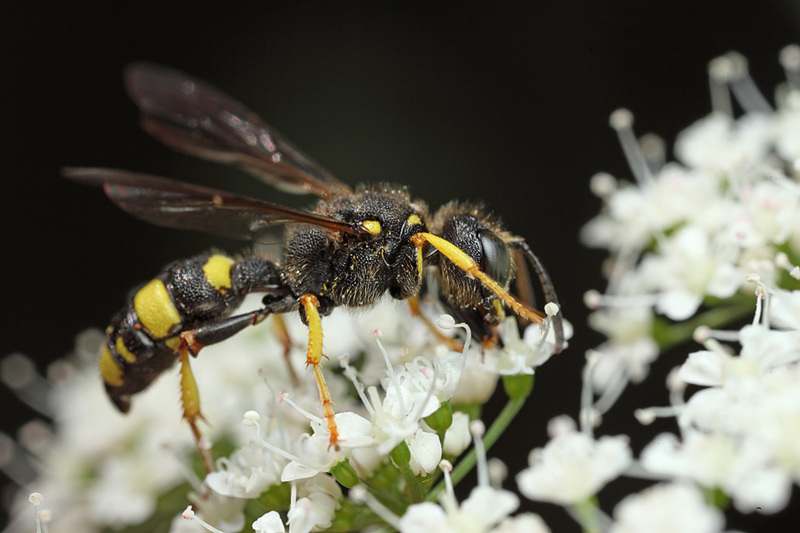 a digger wasp Cerceris sp. I think. This appears to be a Honey bee. 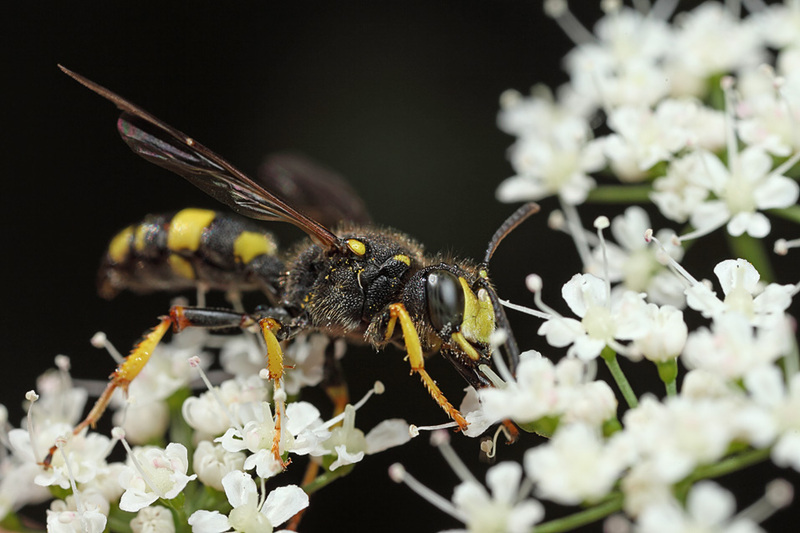 Prabir - it's definitely a digger wasp. Thanks Brian. 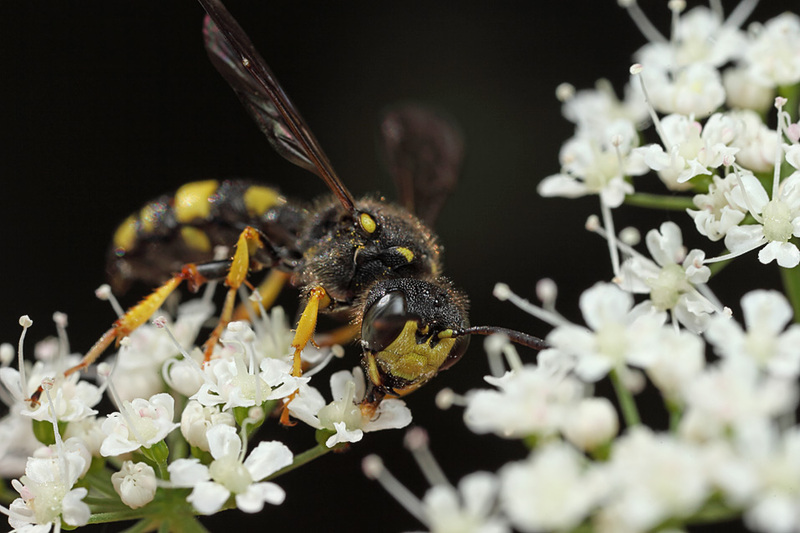 The Digger Wasp and Honey Bee are almost identical.